Cute little intro with good music and a graffiti that makes me want to dig out my old spraycans again! yes, great logo, great music, great font, nice read! 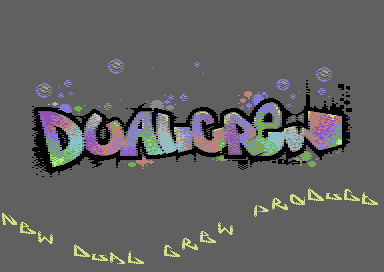 greetings to my old crew from amiga, dcs! rulez added on the 2012-09-09 23:21:16 by ɧ4ɾɗվ. Scroll is hard to read, some letters font are the almost the same (C & T). A stylish intro with great logo, good music and nice sideborder scroller. page created in 0.017234 seconds with 15 queries.